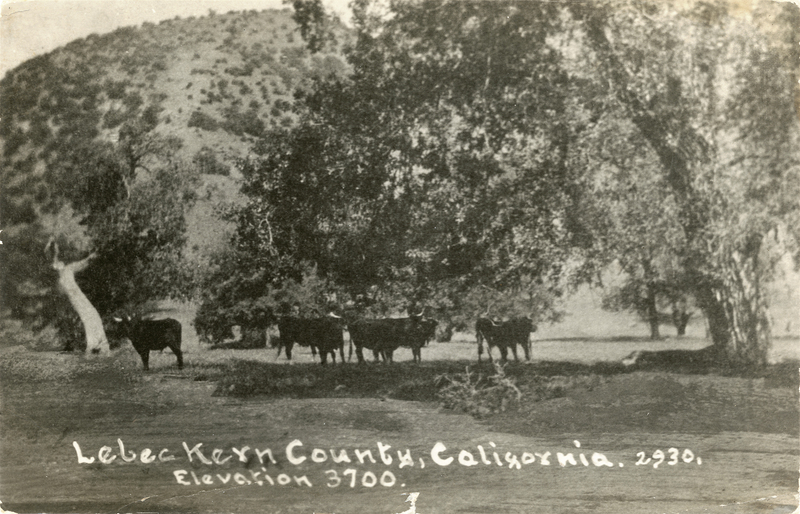 Cattle grazing (or at least standing around) in Lebec, 1917-1919. Real photo postcard. 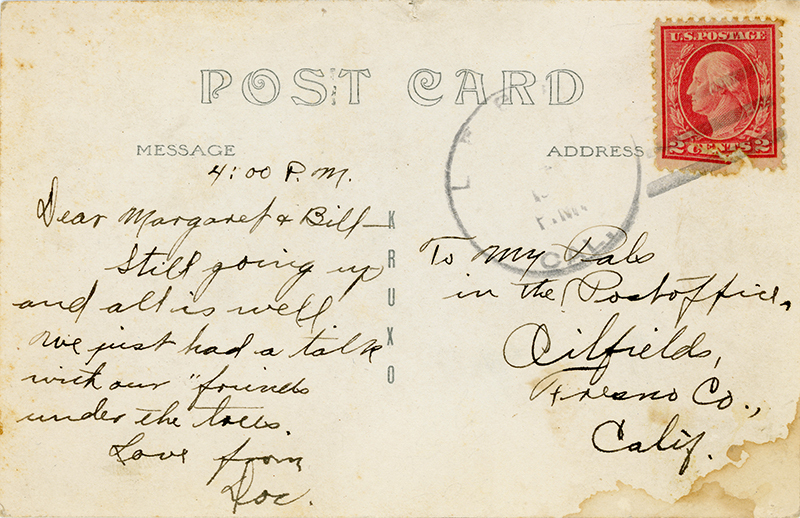 (1) During U.S. involvment in World War I, specifically on November 2, 1917, the 1 cent postcard rate was raised to 2 cents. After the war ended, on July 1, 1919, it went back down to 1 cent. The stamp box could also provide a date clue, but we can't see it without removing the postage stamp. The paper manufacturer, Kruxo, was active from 1907 to the 1920s. Still going up and all is well. We've just had a talk with our "friends" under the trees. Presumably the "friends" are the cattle. LW3001: 9600 dpi jpeg from original RPPC purchased 2017 by Leon Worden.